Is Your Body & Mind Ready For Winter? Although winter time means plenty of celebrations and festivities, with Christmas and New Year all in the calendar, it can also be harder to stay motivated and inspired when it comes to healthy eating and fitness. During summer when we have longer days and nicer weather, many of us find it so much easier to keep on track but those cold temperatures and shorter days can have an impact on our lifestyle; throw in more parties, alcohol and indulgent food and we might not feel at our best! In collaboration with Alive! (paid post), here are my winter wellness tips that work for me when prepping my body for the months ahead to stay and happy and healthy throughout winter. I’m a big believer in how what you eat affects your mood, energy levels and general wellbeing – even your skin and hair – which is why I see food as medicine and nourishment as well as enjoyment. 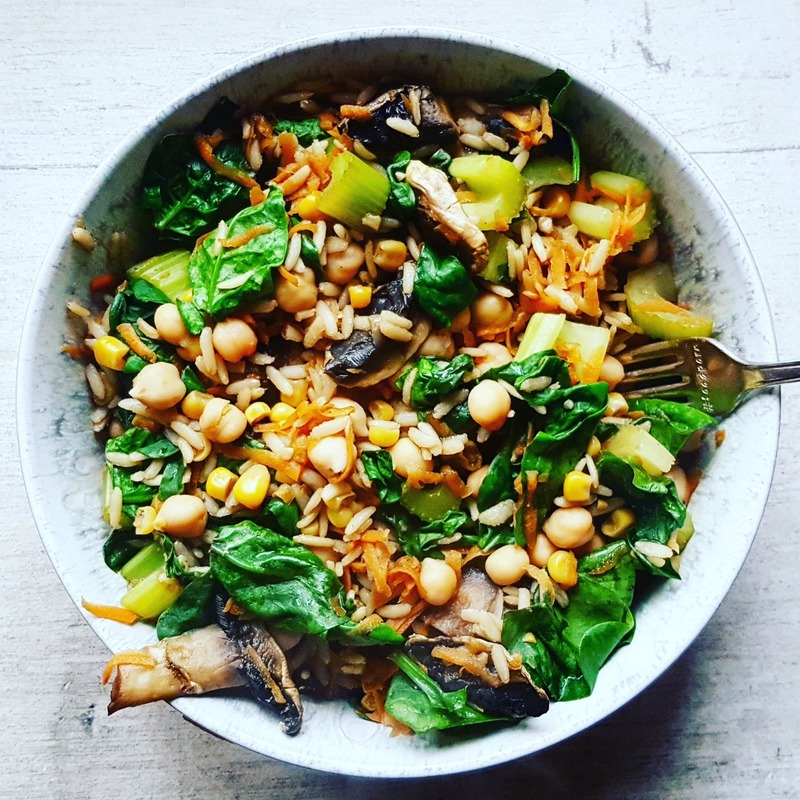 I’m super active so have a big appetite – I love having a decent amount of food on my plate and snack regularly to keep my energy levels up throughout the day to fuel my workouts, long walks, running around after a toddler, keeping a big house clean, working and blogging. But I make sure that the bulk of what I eat is made up of wholegrains/slow-release carbs, a protein source like beans, tofu, nuts and seeds or Quorn (I’m not strictly veggie but I eat mostly plant-based), plus of course plenty of fruit and vegetables and some dairy or non-dairy alternatives. 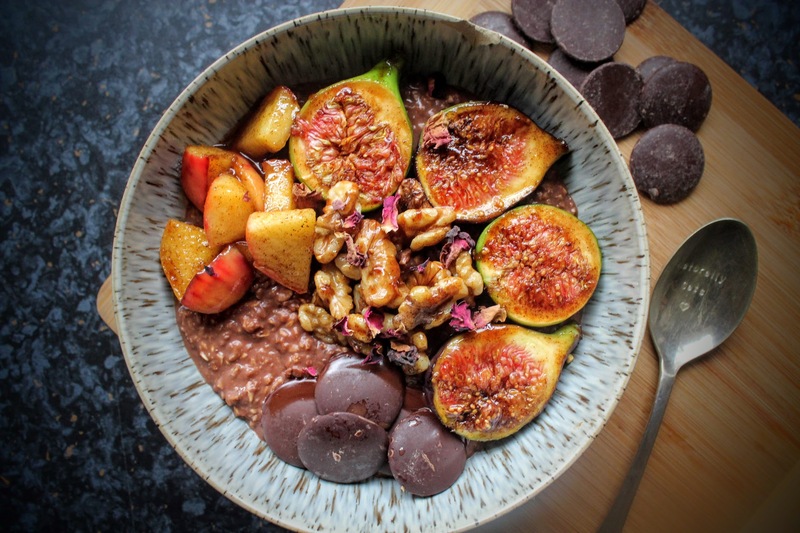 In winter, some of my favourite dishes include porridge for breakfast, a quick and easy rice dish for lunch, something like a veggie chilli (loaded sweet potato fries, YUM), and maybe even a warming fruit crumble for dessert! Rubbish weather and dark mornings and nights can make it so tempting to want to stay indoors or snuggled up in bed in favour of going to the gym or out for a run. But don’t let this put you off! If I struggle, I force myself to and think how much better I’ll feel when I get indoors after bracing the cold. Music is also such a good motivator – create some playlists of your favourite tracks that really get you going, have your earphones ready and workout gear packed so you have no excuses if time is an issue! Having the right clothing is important too, and with places like Primark selling a fantastic range of fitness wear, you don’t need to spend a fortune. Just make sure you have a good light rain jacket (even with high-vis marks on for when it’s dark), hat, gloves and decent trainers. 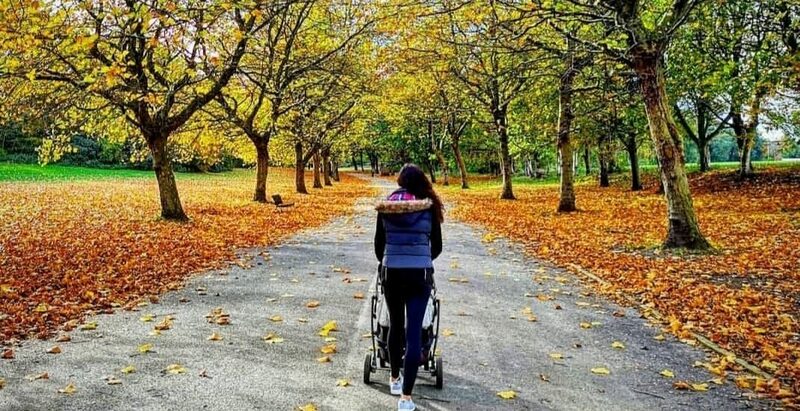 I’m such a big believer in exercising for mental health – especially when SAD (seasonal affective disorder) might hit some of us, keeping up a good routine will help to get those endorphins and positive vibes going throughout winter. 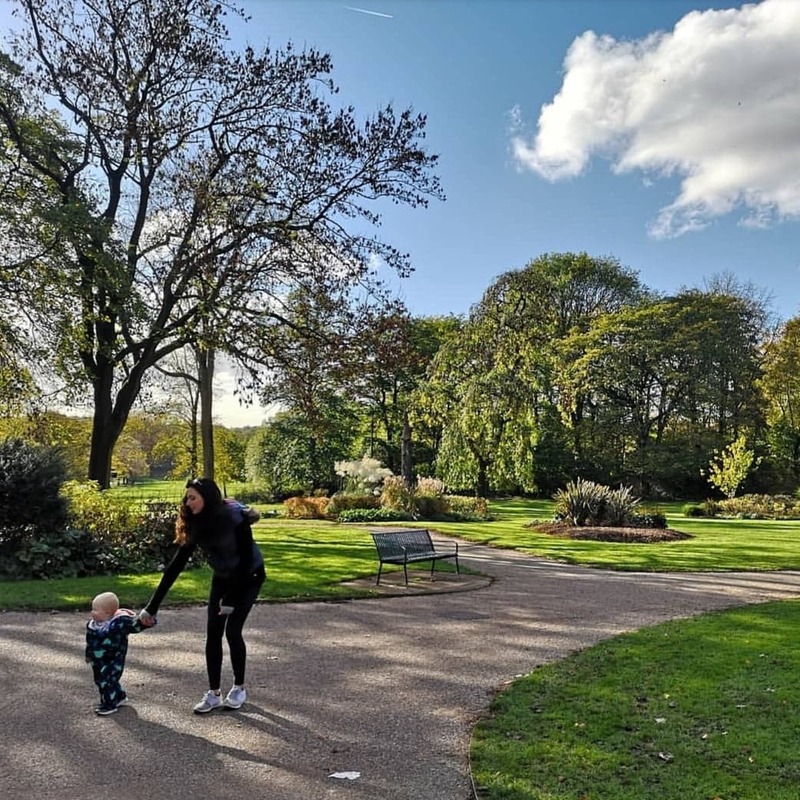 I’ve always loved being outdoors from a young age, growing up in Yorkshire surrounded by nature, so this is a big part of my life and also Tom’s too. Wrap up warm, get your wellies on, prep some hot drinks in a flask and you’re good to go! 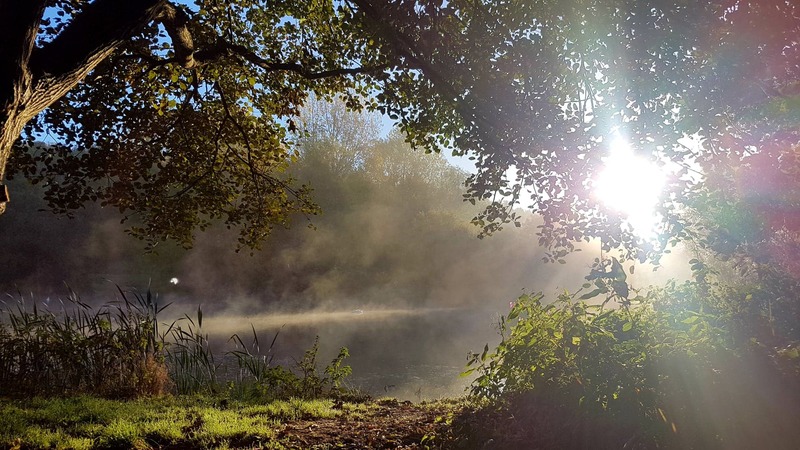 Walk around a park, cycle in the woods, take little ones to an outdoor play area, run around with your dog, meet up with family or friends – and appreciate your surroundings: Look up at the trees, enjoy the crunch of the frost, observe wildlife. That’s one of the best parts no matter what the season, and I find it’s great to switch off and just be in the moment. During the winter months, this vitamin can be lacking for the majority of us in the UK due to lack of sunshine. Vitamin D helps to support healthy bones and teeth, normal muscle function as well as immunity. Public Health England recommends that the UK population take a supplement of at least 10ug (micrograms) per day during the autumn and winter months. For my readers, Alive! are offering FREE shipping (worth £3.50) as a discount of £3.50 on each single pack of Alive! 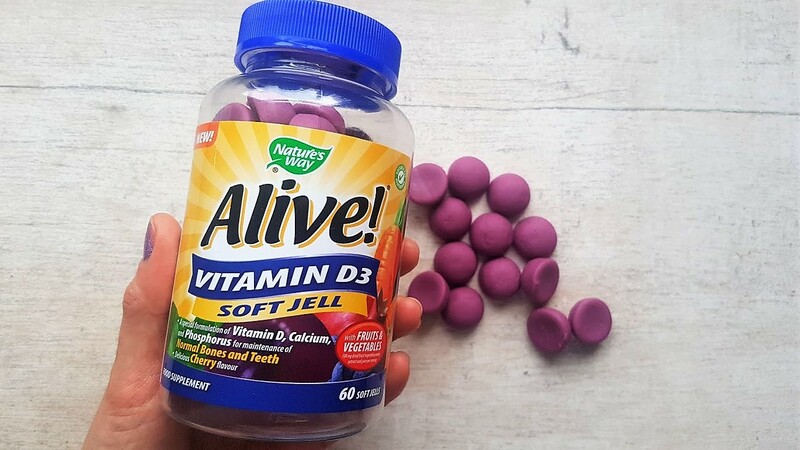 Vitamin D3 Soft Jells sold via the Nature’s Way site. – Apply code VITAMINDFREE at check out. – Offer ends at midnight on 31st December 2018. With life being so hectic and busy, it can be easy to put me time aside, but it’s always important to MAKE time. Whether it’s 10 minutes of meditation, having a soak in the bath, reading a book or listening to a podcast, however you like to relax, try and fit it into your schedule. Especially in the run up to Christmas which can be stressful and chaotic! Keeping hydrated is essential for your overall health. But if drinking water seems dull, there are plenty of ways to make it a bit more exciting! I love hot drinks so I pretty much live off a mixture of coffee, herbal teas and hot water with sliced lemon and grated ginger during the winter months. 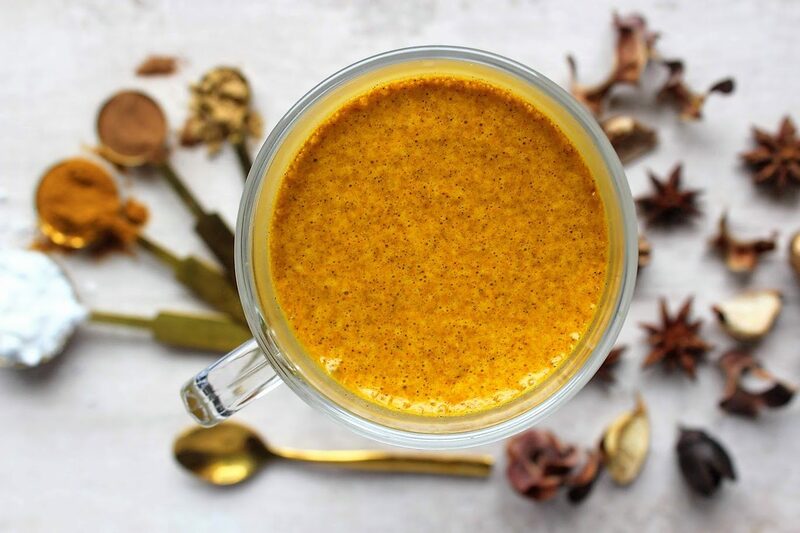 Making a simple turmeric latte is one of my favourites too – simply whizz up any milk with turmeric, cinnamon, ginger, star anise, black pepper and heat up until warm, it tastes insane and is packed full of goodness! You might like beetroot or matcha lattes for a change too. Try to limit caffeine and alcohol, which is probably more of a challenge when parties and festivities pop up. Which is fine of course, it’s Christmas and New Year coming up! And it’s only for a month or so – but just be aware of balancing this with drinking plenty of water, herbal teas and soft drinks.